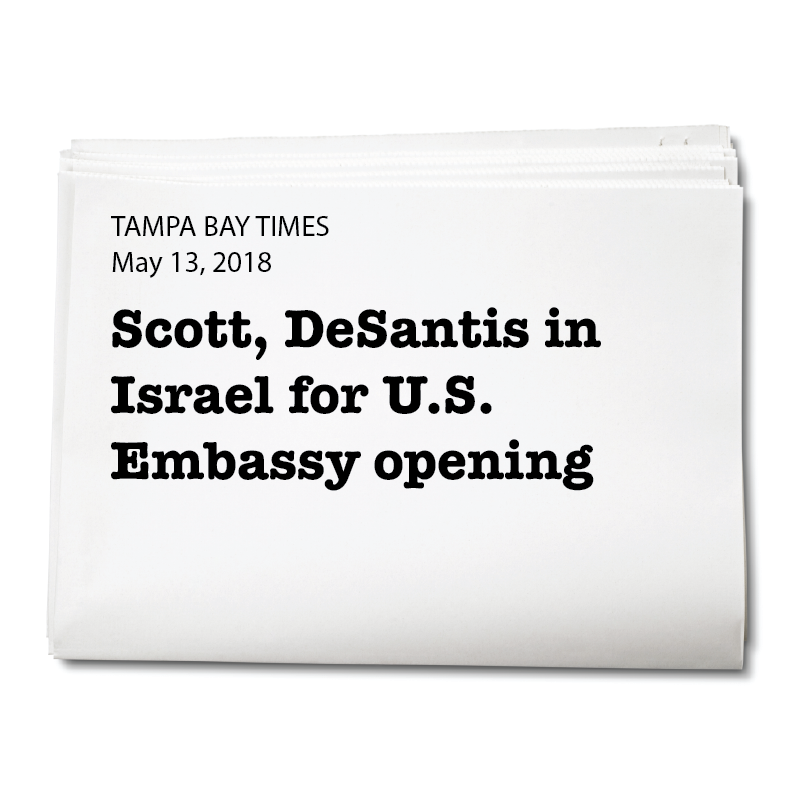 Ron DeSantis supports our friend and ally, Israel. 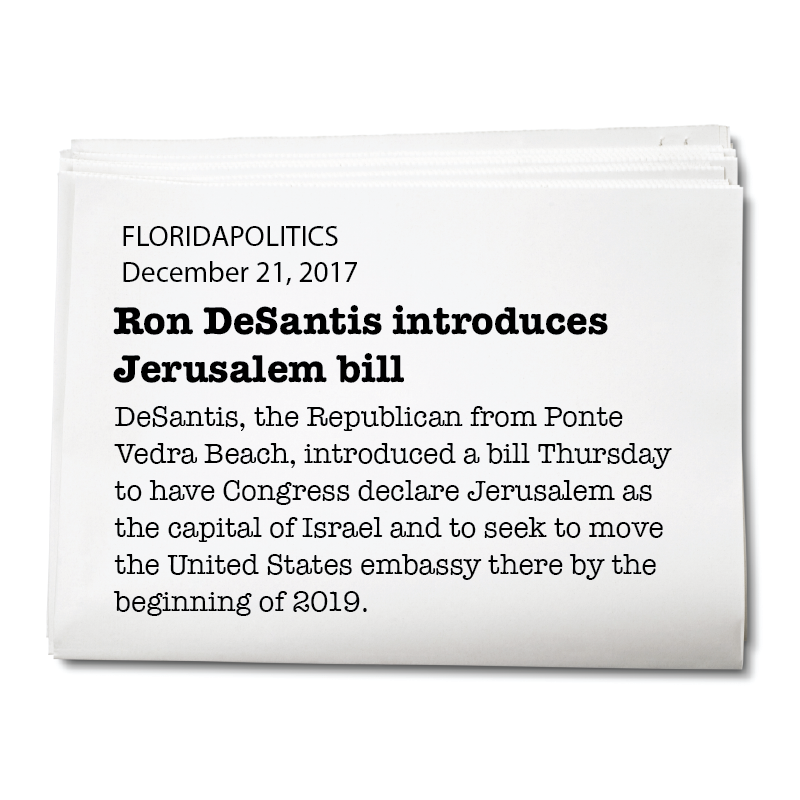 Ron DeSantis helped lead the charge to formally recognize Jerusalem as the capital of Israel and to move the American embassy to Jerusalem. His leadership strengthened the relationship between the United States and our unwavering friend and ally, Israel. 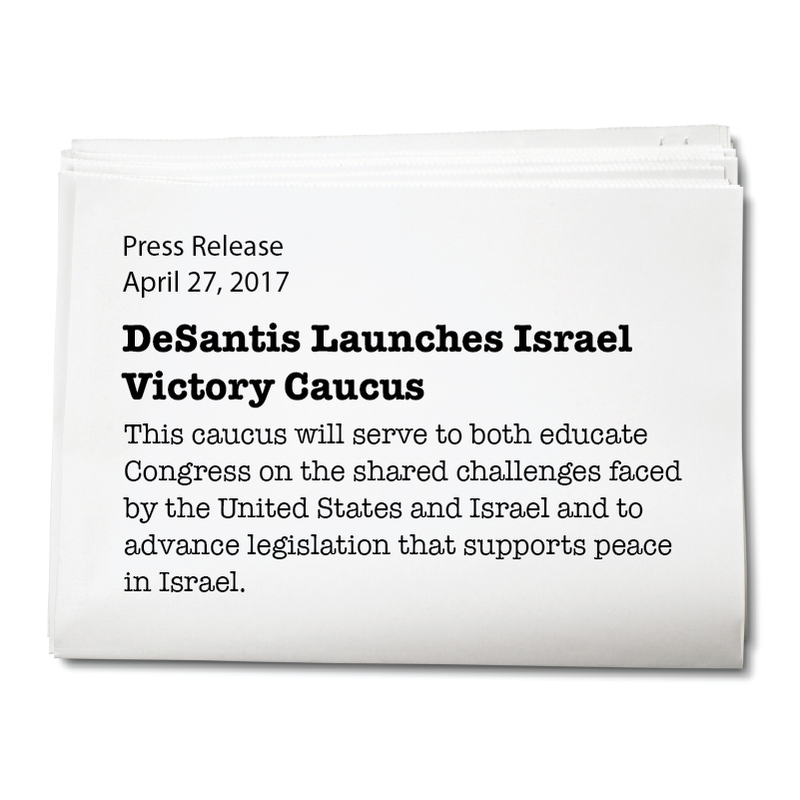 Ron DeSantis launched the Israel Victory Caucus to further our economic and military ties with Israel and to let the world know that we stand with the Israeli people. 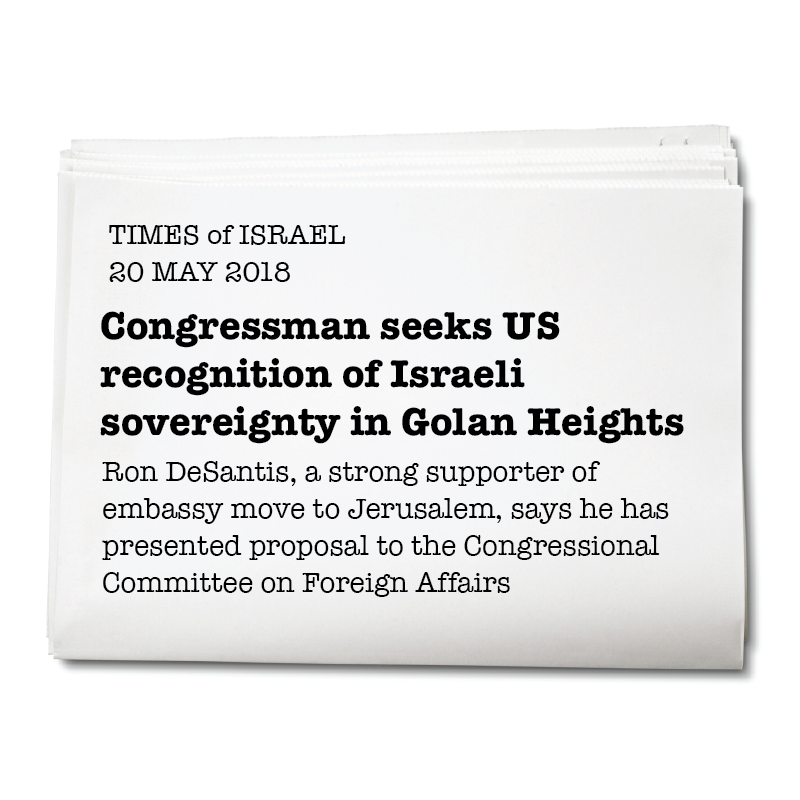 Ron DeSantis knows that the Middle East will never achieve peace unless Israel has the right to exist as a Jewish State. 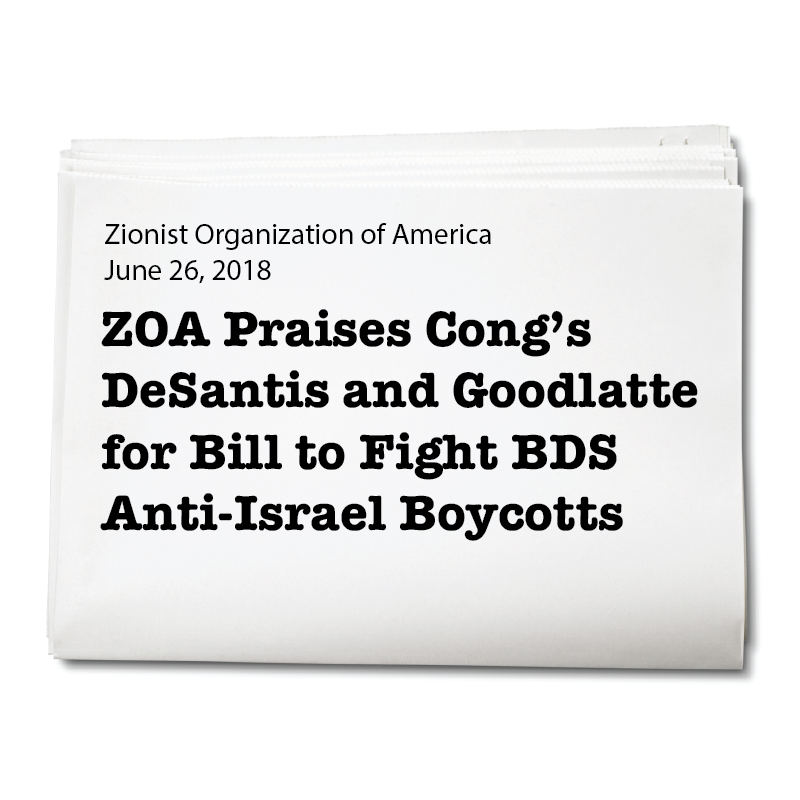 Ron DeSantis believes the U.S. must make it very clear that Israel is here to stay and those that do not support the nation and seek its destruction will face the wrath of the United States.